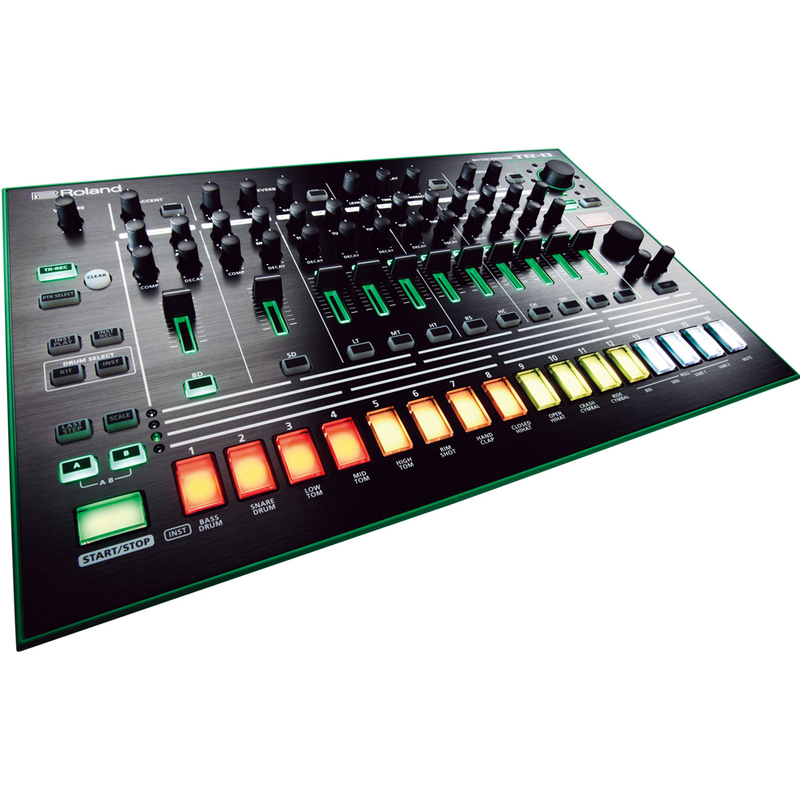 The TR-8 has a 7-segment, 4-character LED display and 16 per-step pads with bold, full-colour LEDs. The Scatter function lets you freak and tweak your grooves with real-time control and perfect sync. You can also create real-time patterns up to 32 steps, with on-the-fly step count adjustment. Rec/Play modes have also been eliminated to enable seamless switching between programming and performance modes. 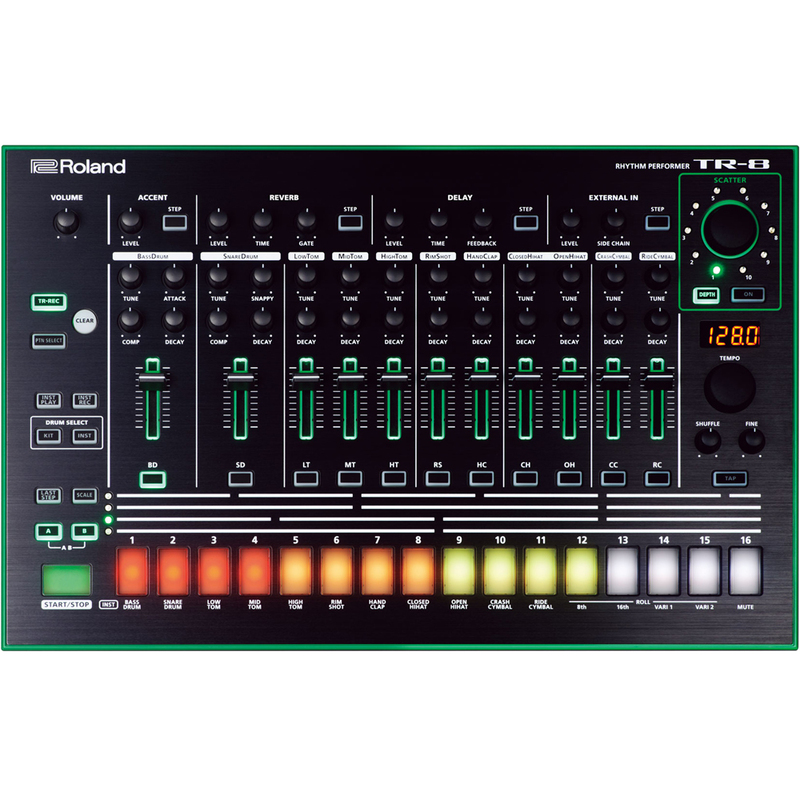 The TR-8 is capable of real-time play of 4 different types of rolls (8th, 16th, VARI 1, VARI 2), and has per-instrument mutes. Pattern copy and pattern randomization are included for rapid, spontaneous creativity. There are two assignable analogue outputs and full parallel outputs via USB for total mixing flexibility. 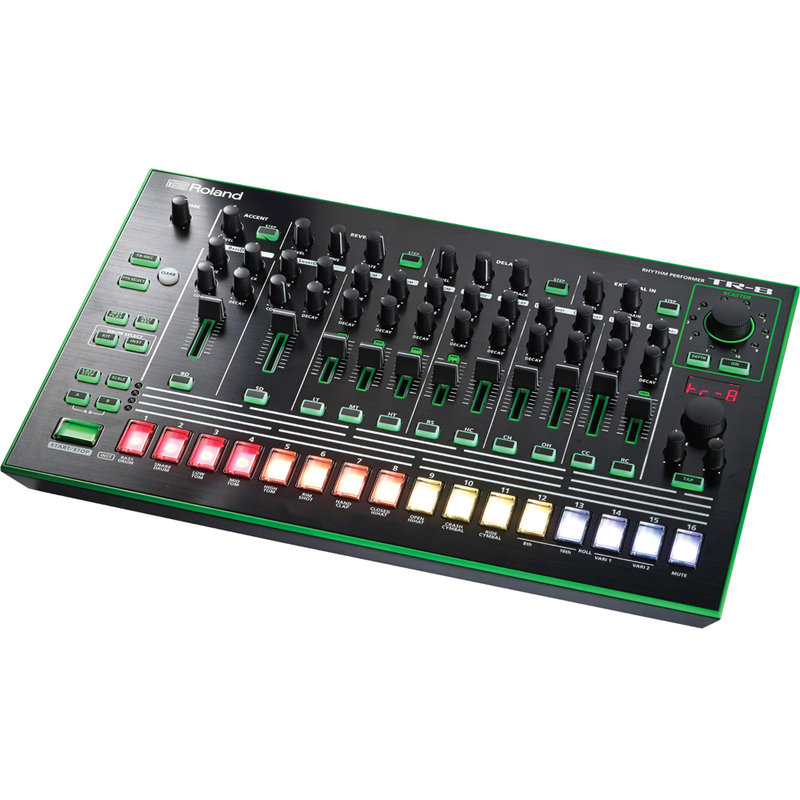 The TR-8 is designed to work seamlessly with other products in the AIRA series, and in addition, you can connect the TR-8 to your computer via USB to send and receive both audio and MIDI data, including MIDI clock information for syncing with external devices and other AIRA units. You can also backup and restore your kit and pattern library via USB.